Icelandair names its aircraft after local volcanoes and natural phenomena, and now it’s time to celebrate Icelandic wildlife with new, eco-friendly amenity kits designed to enhance the onboard experience. In April, Icelandair launches its new “Dýralíf” (Wildife) amenity kit collection, with four purse designs that celebrate Iceland’s unique natural inhabitants. Icelandair collaborated with design company WESSCO International and skincare company Hannes Dóttir to produce a collection that draws inspiration from animals woven into the nation’s folklore, namely the puffin, arctic fox, Icelandic horse and raven. WESSCO International sent a design team to Iceland to experience the ethos of Icelandair. In addition, to better understand Icelandic wildlife, the team studied different facets of the country’s flora and fauna. 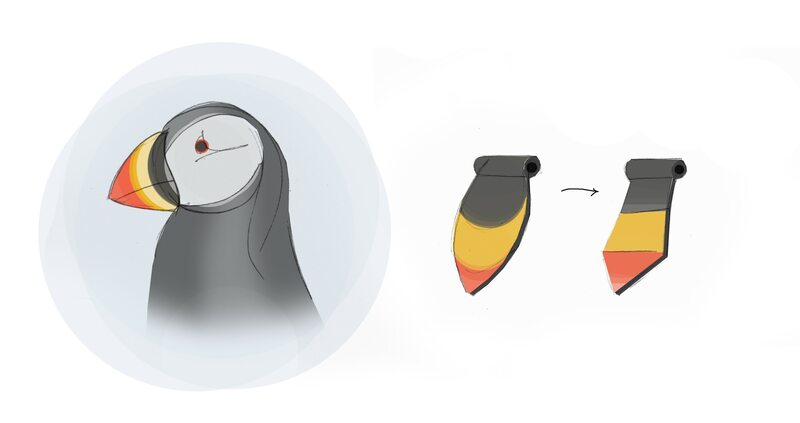 This resulted in the team proposing a collection based on each animal’s unique qualities showcased through shapes and colors reflecting their power and grace. 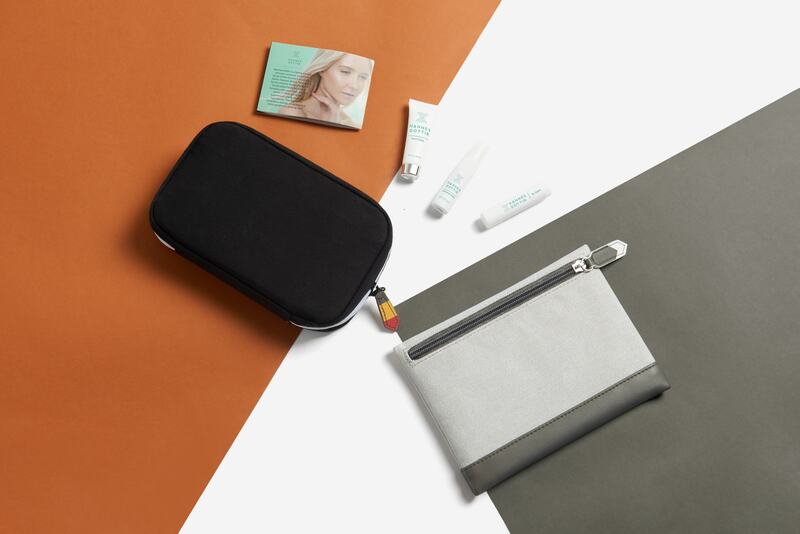 The contents of each kit have been designed and selected to help passengers arrive at their destination rested and refreshed. Each purse is made from a combination of eco-friendly and sustainable materials including recycled canvas, vegan leather, and felt made from recycled plastic bottles. The toothbrush is made from cornstarch-based biodegradable material. The socks are made from recycled material. Plastic use is minimal, with content wrappings made from paper. Icelandair has respect for nature at its heart, and the airline continuously works towards becoming a more environmentally friendly company. From efforts to reduce emissions, decrease plastic on board, and optimize the use of recyclable material, Icelandair sets itself ambitious environmental goals. Hannes Dóttir is a family-owned skincare company created in honor of the founder’s Icelandic father, Hannes Arthur. Powered by the volcanic fjords of Iceland, handcrafted formulas work in harmony with the body and are made of 100% nutrition supplement and food-grade ingredients. Take home the restorative energy of Iceland and enjoy gorgeous, glowing skin. 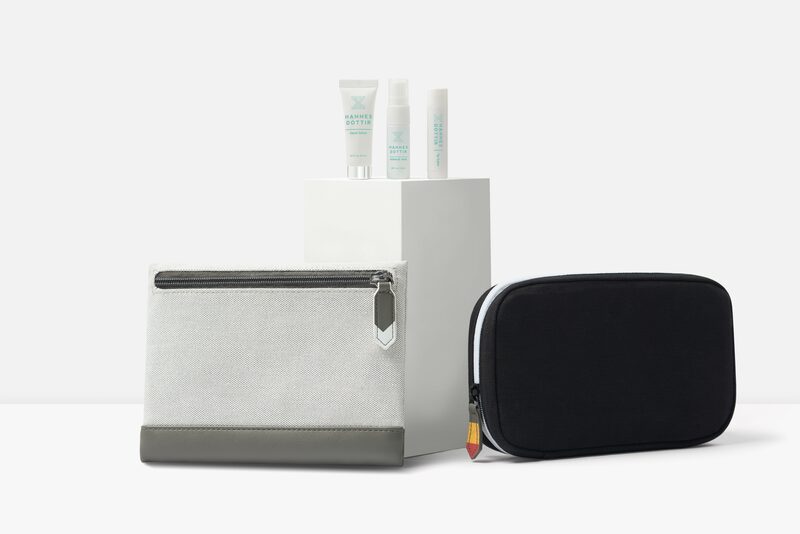 The complimentary amenity kits are issued to Saga Premium passengers on all flights between Iceland and North America. Launching in 2019 are kits inspired by the puffin and arctic fox; in 2020, the Icelandic horse and raven step into the spotlight. The kits will also be available for purchase through the online Saga Shop. Read more about the design for our kits inspired by the puffin, arctic fox, Icelandic horse and raven.